I know the mirror throws folks off, but that little bad boy has saved my hide many times out. People here in Los Angeles, drive like A$$holes. Is that because they are evil villains? Wow. Loved the collection all the cycles. Even, I am planning to buy the new cycle as some parts of my old cycle has been broken. I've shared this build in another thread, but I am excited about finishing this project (for now) and I want to show it off. 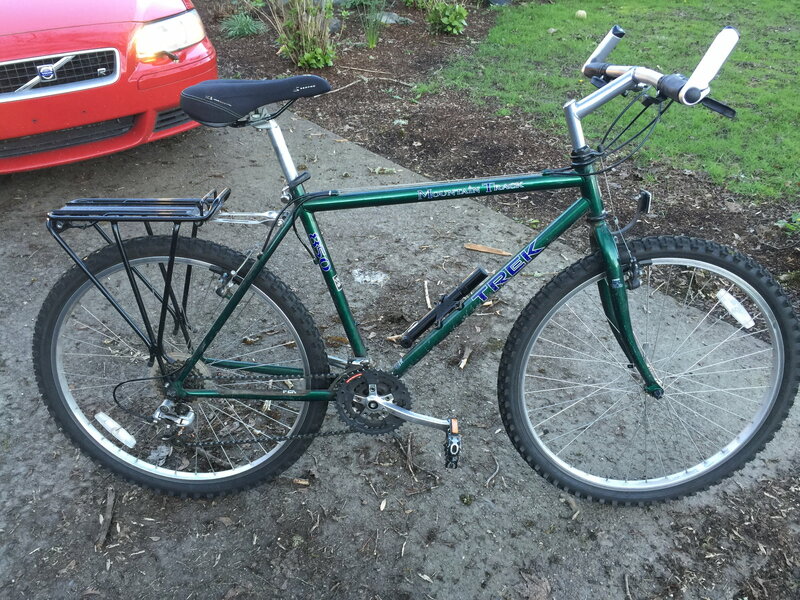 It's a 1984 Trek 510 with a 2x10 Shimano Deore XT drivetrain of varying vintages and Tourney centerpulls to maximize fender and tire clearance. 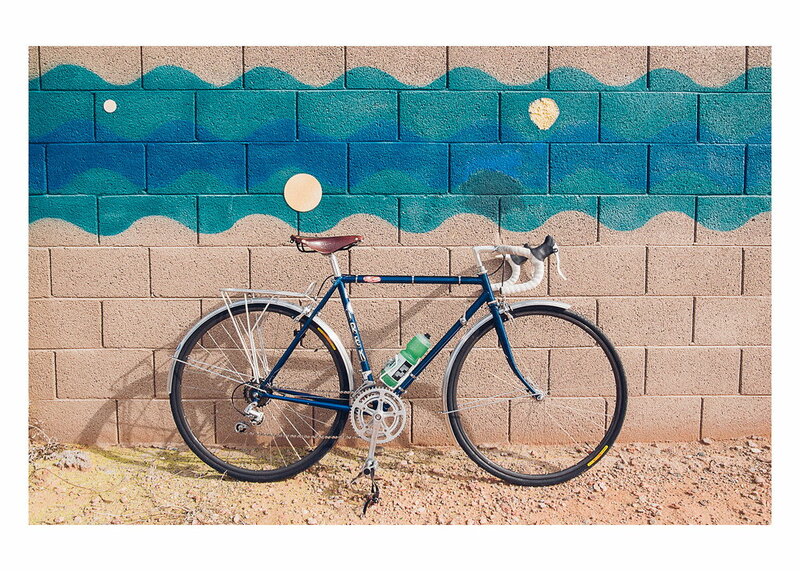 Eventually the plan is to get a Brooks Swallow and hang my Carradice on the back for some long rides. 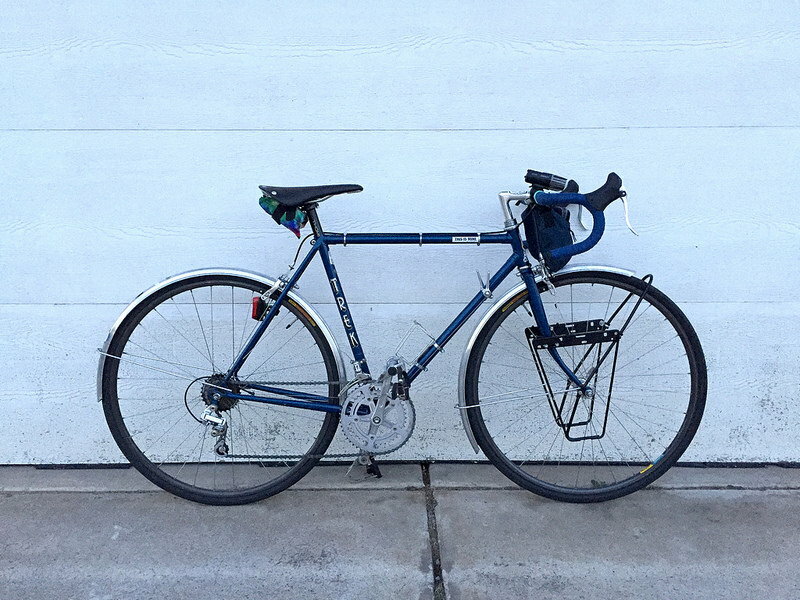 I'll also try out a Dia-Compe centerpull-mounted rack for a randonneur bag. The bartape came from the Box o' Crap and was actually an inspiration for the build, so far I like it a lot. Am I reading that Vuelta ring correctly that it's a 30t? Mated to a 45t? Is that a 110/74 BCD crank? If so, how'd you get that to work on the outter ring and inner ring? NDS photo please? Did you do the paint yourself? It's not a color scheme I would have thought of (can you guess why I'm not an interior decorator or artist? ), but it looks really nice. For some reason it reminds me of the black and white Bridgstone RB-1's. Also, those black (VO?) fenders look really snazzy! Yep, it’s a 46t/30t made possible with an obscure 94 BCD crankset. 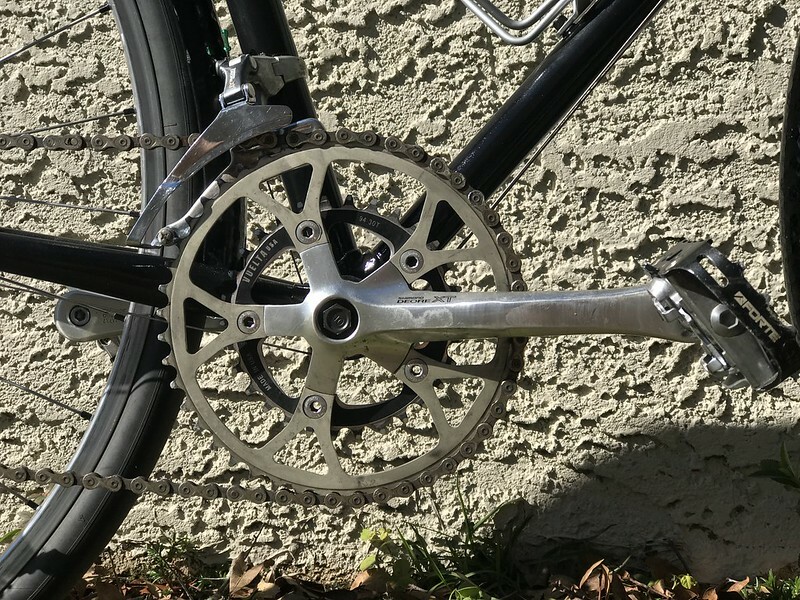 The M737 is the best looking Deore crankset, IMO. I’m almost proud of myself with the way the paint turned out. The color scheme is inspired by my childhood favorite monster truck: Gravedigger. Finding the neon green bar tape in the Box o’ Crap sealed its fate. And yep, they’re well-loved VO fenders. I’ve got to add some fender flaps to tame the sandy sludge on the “gravel” roads around here. Aha! I wonders if that wasn’t it. I have a place in my heart for 86 BCD cranks for the same reason - subcompact doubles are a sinch! I have a question for you all. So my Trek has always felt like the top tube is long, I feel like I'm always scooting forward on the saddle. 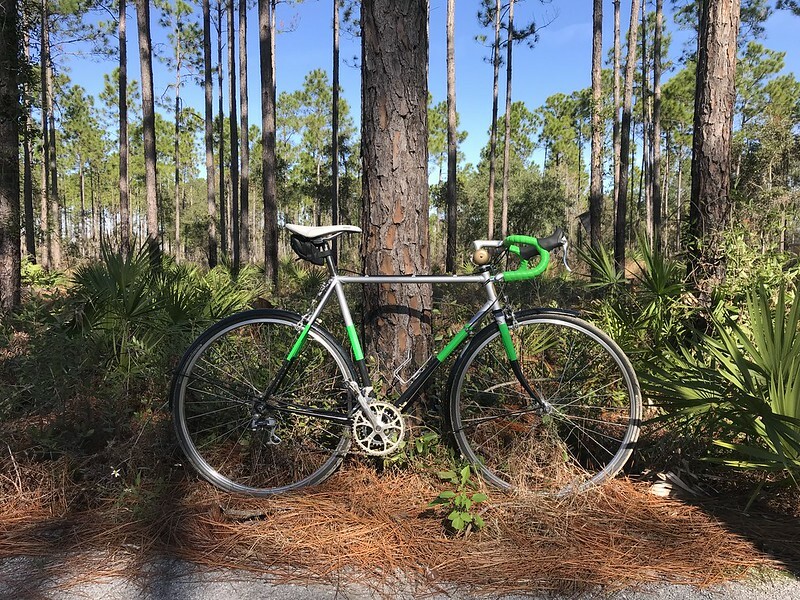 Im out of shape but also feel like my stem is long. 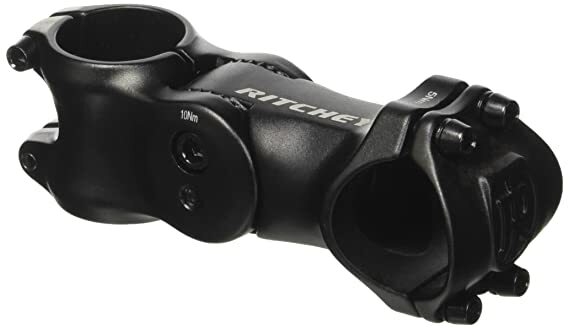 I currently have a 90mm stem on it, but have been wanting to go back to the 80mm stem. I know that 10mm is not much in the theme of things, Is it just me? Stem length can make the difference some times. Thankfully, since no one is telling you to ride the bike the way it is, you are beyond free to experiment with fit as it is your bike and not someone else's or someone else's idea of what you should ride. If the saddle feels too far back, loosen the bolt and slide it forward. 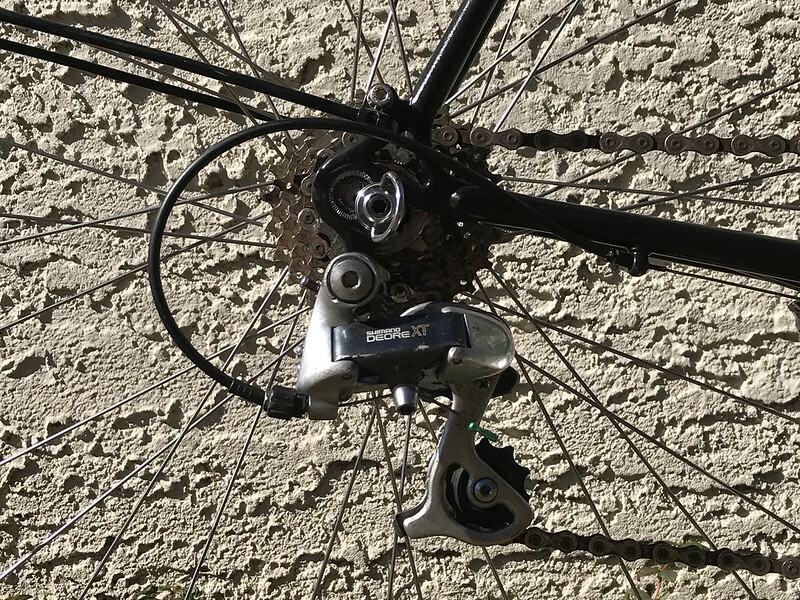 If the stem is too long, you feel, and you don't have a shorter one, loosen the stem's bar clamping bolt and rotate the bars upward to bring the brake levers closer to you. That should tell you if shortening the stem and/or scooting the saddle forward is a good idea. Gotta be comfortable to ride--don't need our permission to try things out. At the 25.5" frame size, Treks of this era (I have a 410/412 frame from 1980) have long top tubes, as do earlier ones. Mine's a 60mm, which is more or less my limit all things considered. I run a 100mm stem max or, if a 110mm stem, Soma Highway Ones or some bar with a short reach set up. I have a preferred reach distance that I measure from the sit bone point on my saddle (a point that is derived from the BB spindle center point) and can fairly easily tell if it's too long. A lot of bikes in the 63-65cm size had "this is how it should be equipped" 120mm or 130mm stems with long reach bars. I'm lanky, but not an orangutan or albatross, so stems that long are immediately sold or donated. It looks like you have your saddle slammed back on the rails. I'd try moving it forward 10-20cm just to see how that feels, and make small adjustments from there if you think you're close. Experimentation is free, which is great. 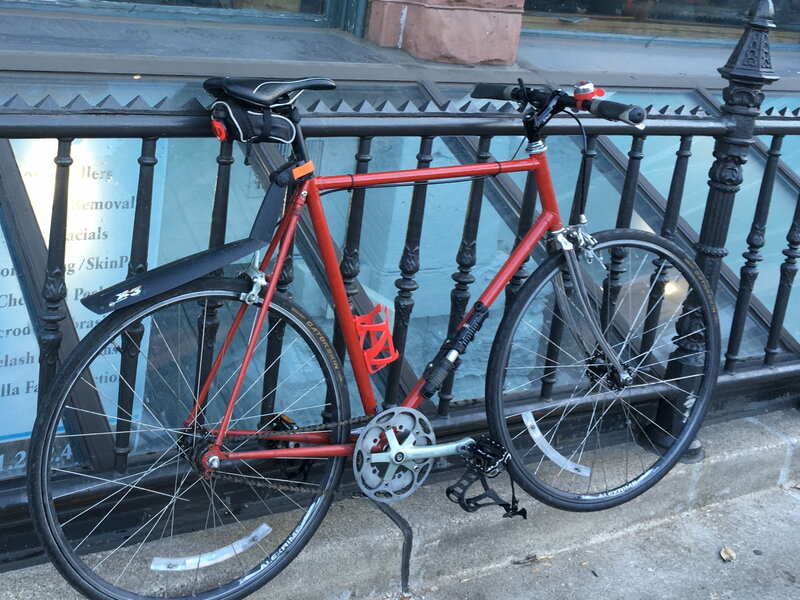 None of us (that are reasonable) will judge you for how we think you "should" fit your bike. There are many different fits across all heights, flexibilities, ages, and body dimensions. I'm confident you'll be able to find yours. 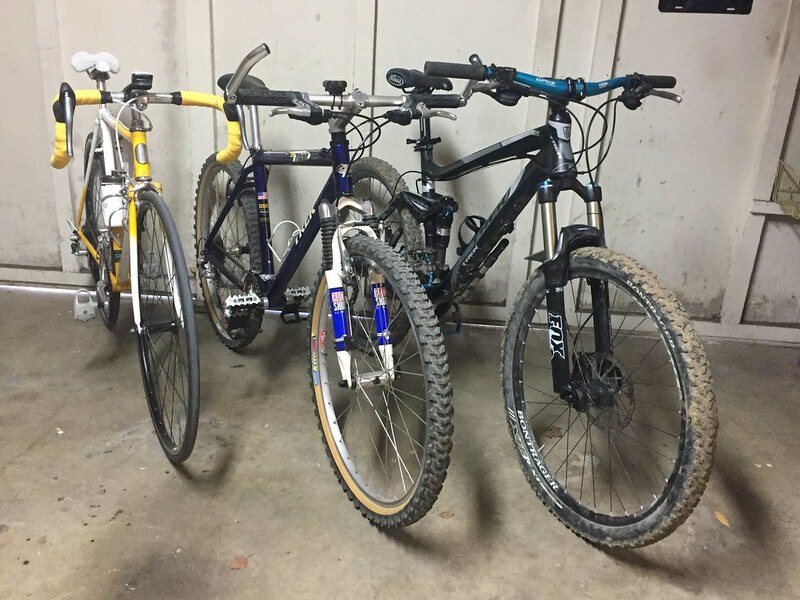 If anything, since you have multiple bikes, measure up the ones that you think/feel fit you really well and use that as a reference point or setup to exactly copy (as much as possible). The stems on all my bikes are apparently shorter than normal. They vary from 60mm to 90mm. That is a nice looking Deore crankset. So is it just the crank arms matched up with 2 non-original rings? I'm somewhat ignorant when it comes to BCD and other such technicalities so please forgive the possibly odd question. 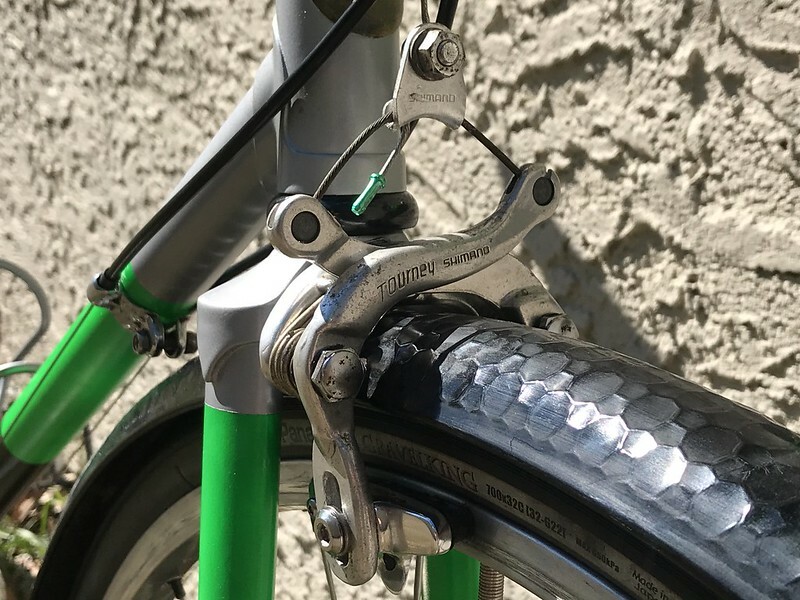 If none of the free adjustment ideas work for you, the following adjustable stem is a possibility. It allows you to try various combinations of shorter reach and higher bar position (rise). Once you find the best setting you can leave this stem as-is or purchase a fixed stem that has the proper length/angle. You'll also need a threadless stem adapter to fit this onto your existing threaded system. It looks like you have your saddle slid pretty far back on the rails. Have you tried sliding it forward? Ooops I thought I posted a newer picture of my setup. Here how it sits currently, I feel like I find myself scooting forward a bit. When Im on the bars I feel like I'm putting pressure on them, I think that is just me though being out of shape. But that doesn't seem to explain me pulling forward. Bars are NITTO noodle 44cm bars. Some saddles (Brooks) and some butts need the nose of the saddle tilted a bit up to take some pressure off the hands. Sometimes, it looks silly. Oh well. I posted this in the "Where Did You Ride Today" thread, but I figured I would give it some more love here. I was able to put 45 miles on my 716 over the weekend. 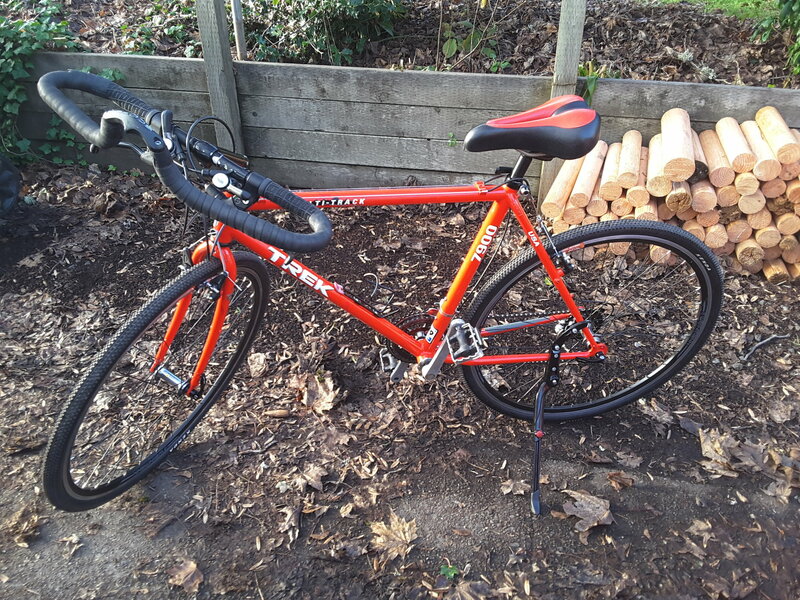 I'm really starting to love this bike, such a smooth ride and it feels great out of the saddle. Last edited by RobbieTunes; 12-16-18 at 09:51 AM. 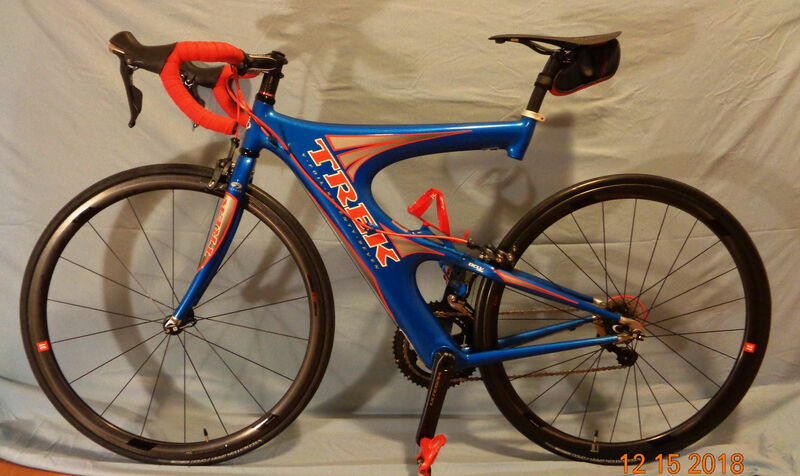 Beautiful Trek 500! Great color, very tasteful, and functional mods. Last edited by RobbieTunes; 12-16-18 at 09:59 AM. There is a level of "aggression" in driving in LA that stuns me. Here are my Treks .... This isn't all of them as I also owned a 8.5 DS and a Trek 2.1 Alpha Apex but neither are vintage ..
1991 Trek Multitrack .. 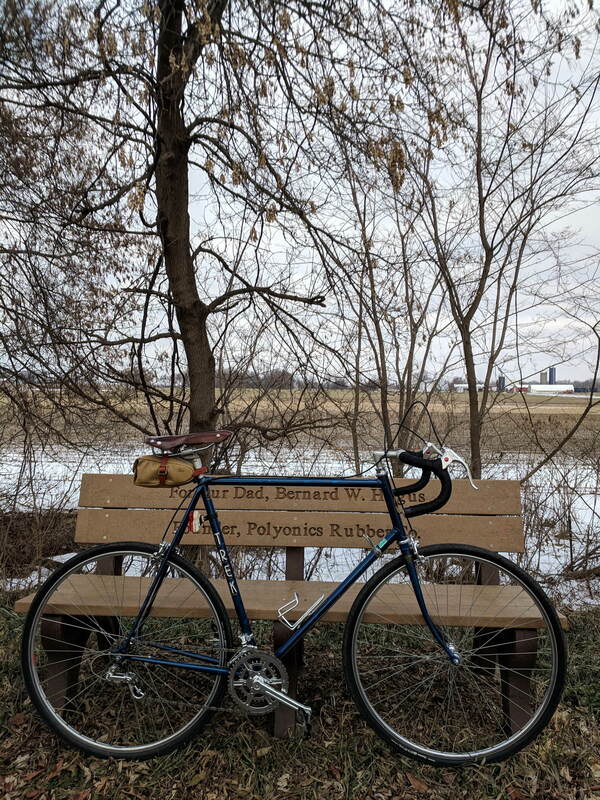 This is the first bike I built up , it was a frame with drive train when I purchased it , and I learned a lot about working on bikes with this one and all the advice I received from bike forums members. This is another bike I honestly wish I had kept very fun bike to ride. 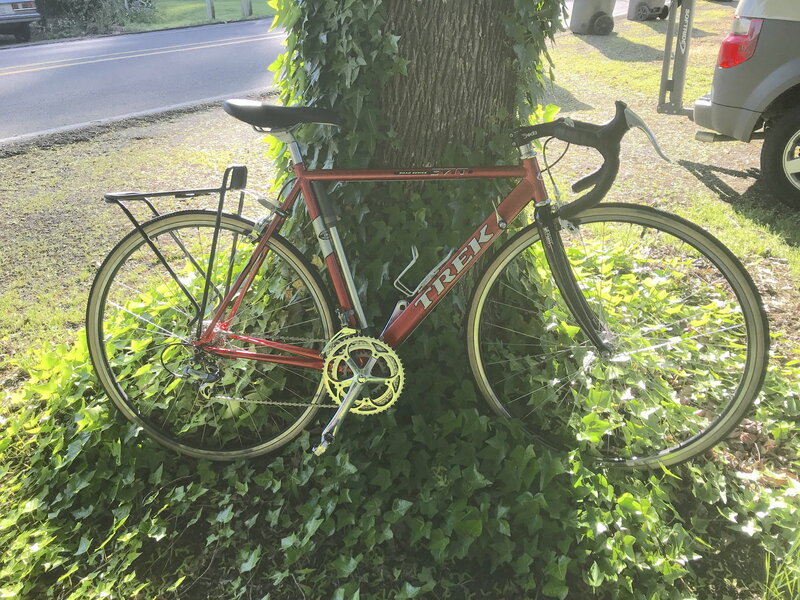 My 1993 Trek 370 , this was an interesting bike . I do not miss it and I purchased it because it had a full Campy C record drive train which I removed and sold on eBay. 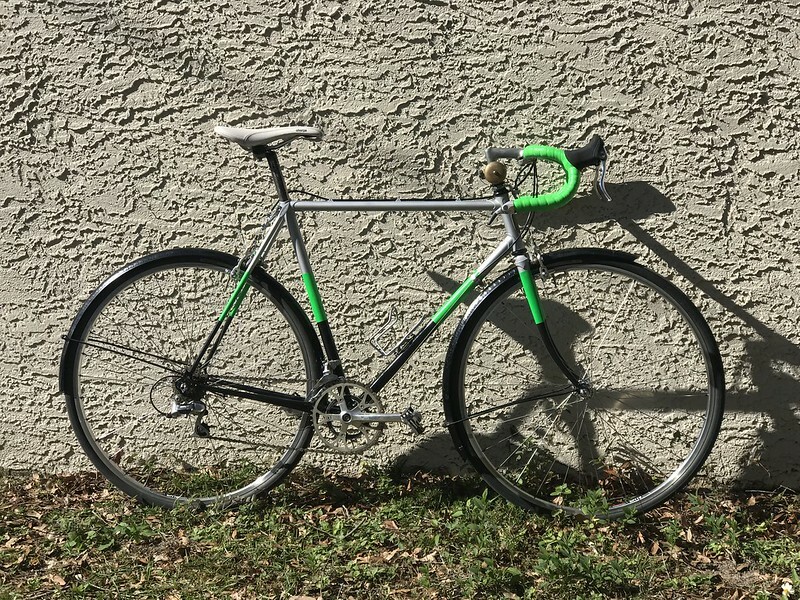 I rebuilt it with a 600 Tri Color group and some Ultegra wheels I had laying around. I do not miss it as it was too small for me. 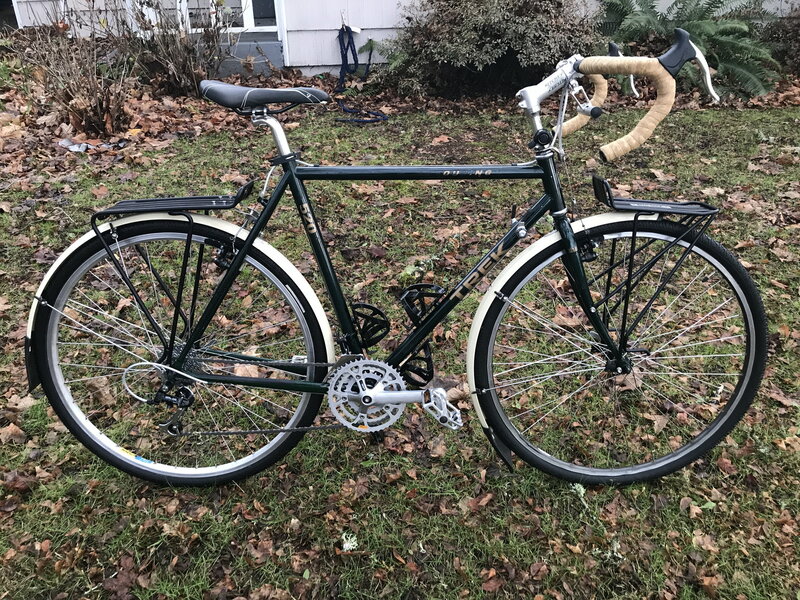 Last is my current Trek ... A 1994 Trek 520 Touring bike , this is probably my favorite of the lot at least so far and I considered selling it but now I am really thinking I may hold onto it .. It had been heavily toured internationally by the original owner and needed a lot of TLC and a complete overhaul when I purchased it. I like it so much I've considered sending the frame to Yellow Jersey to repaint and decal it. 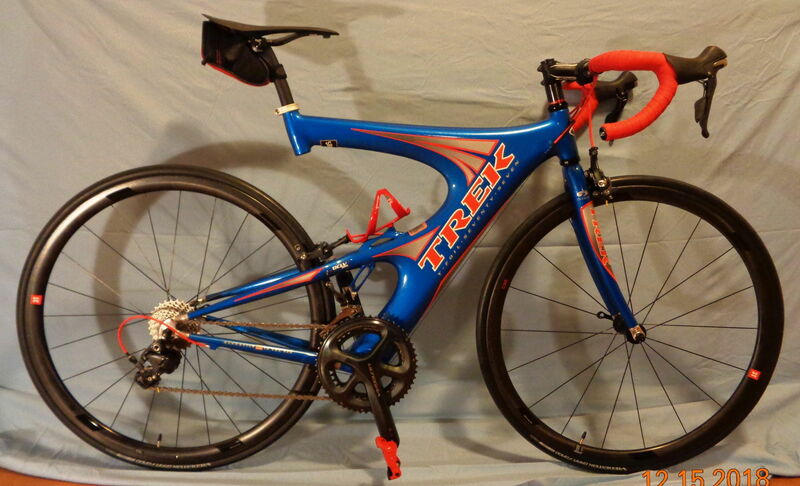 Eventually if I ever sell my early Allez I will find a Trek 620 or 720.... That will be a keeper though.